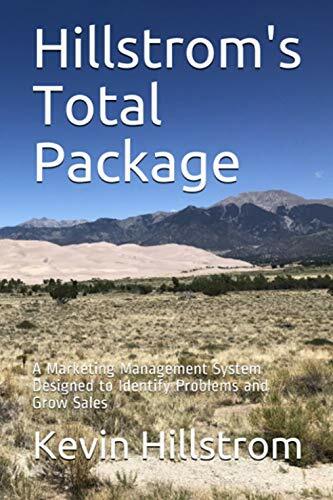 The current strategy of 22 catalogs at 80 pages per catalogs generates about $37 of profit per year ... that's a TON of profit ... and that's what BIFURCATION has done to catalog marketing (a small number of customers deserve many contacts and generate a ton of profit). But what is the "right" strategy? Let's look at any scenario that yields > $45 profit. 25 Contacts of 168 to 200 Pages (optimal = 200). 30 Contacts of 128 to 200 Pages (optimal = 200). 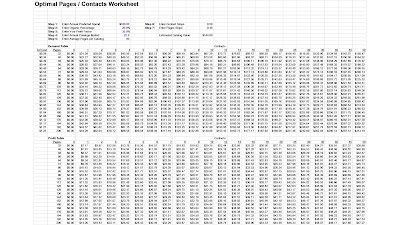 35 Contacts of 104 to 200 Pages (optimal = 200). 40 Contacts of 88 to 200 Pages (optimal = 184). 45 Contacts of 80 to 200 Pages (optimal = 160). 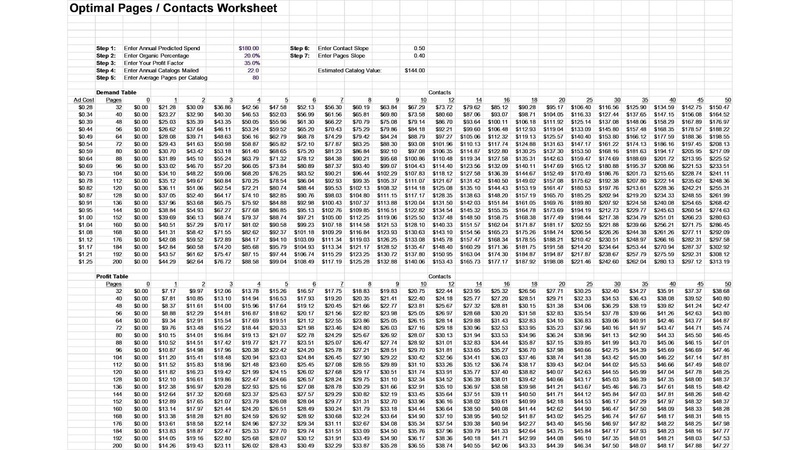 50 Contacts of 72 to 200 Pages (optimal = 140). Great Catalog customers (and there aren't a lot of them anymore) deserve one of two tactics. 25-35 contacts and 200 pages. 45-50 contacts and 140-160 pages. Nobody executed either option these days, correct? So something needs to change ... there needs to be a "rethinking" of how Great Catalog customers are contacted. The most certainly need more pages, and they most certainly need more contacts. Tomorrow, we'll explore the other side of BIFURCATION ... we'll see what happens when we evaluate the modern online buyer.